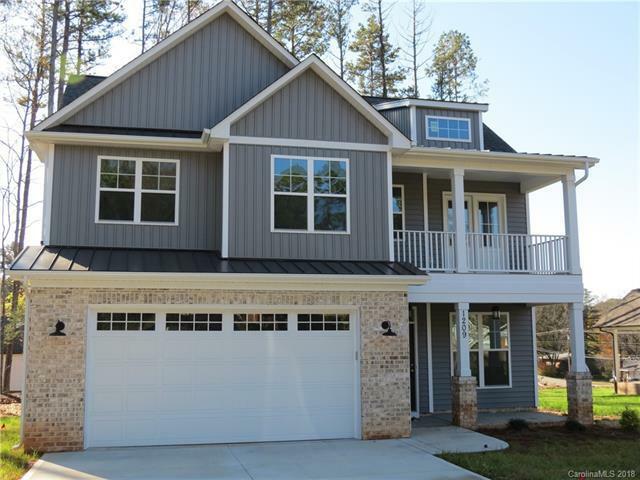 Stunning 4 bedroom, 2.5 bath home in Sherwood Forest. Home is adorned with modern finishes inside and out! Step inside onto gorgeous handscraped hardwood floors with a completely open floor plan. Main level has a family room, kitchen with an island, breakfast area, dining space, walk-in pantry, and a built-in hall tree. Kitchen has beautifully finished soft gray cabinets with under cabinet lighting, richly colored granite countertops, and a white subway tile backsplash. Expansive family room features fireplace and is open to both the kitchen and dining area. Wood deck off the kitchen makes this impeccable home perfect for entertaining. Upstairs you will find a large master suite with a tray ceiling. Tile in the master shower is simply beautiful. Enjoy your morning coffee of tea from the balcony on the 2nd floor. Home is a MUST SEE. Don't miss out!! !